2. [+736, -1] The title is true ㅋㅋ All because of you, the other members were mosaiced out in the news today. What a mess, tsk tsk. 7. 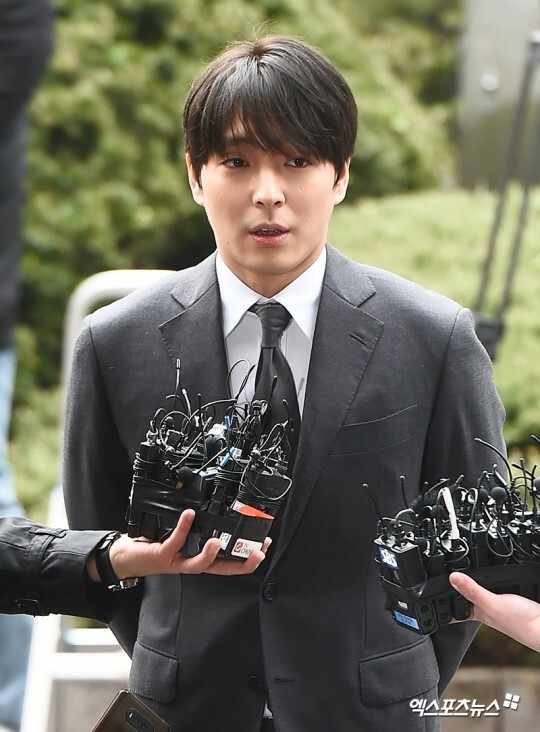 [+28, -0] Something about the way he's carrying himself doesn't look nervous at all. Like you don't sense any reflection or apology from him. He doesn't even look ashamed. He obviously has someone to trust right now..
8. 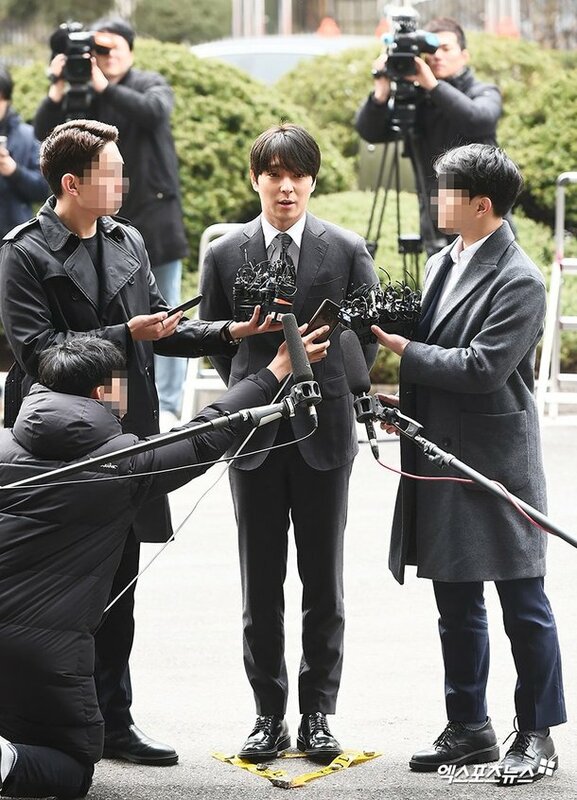 [+26, -0] Doesn't he have a #metoo scandal too? 5. [+116, -0] Ridiculous that he has his hands behind his back like that. He looks like a policeman about to announce the results to an investigation. 6. [+51, -5] Can't stand him. And look at all the effort put into his make up... The public is watching over how the police handle this.